Inline and lift and slide patio doors are two different designs of modern sliding doors. These two different types of doors and how they work often confuse consumers, especially what they are and which is the better door? 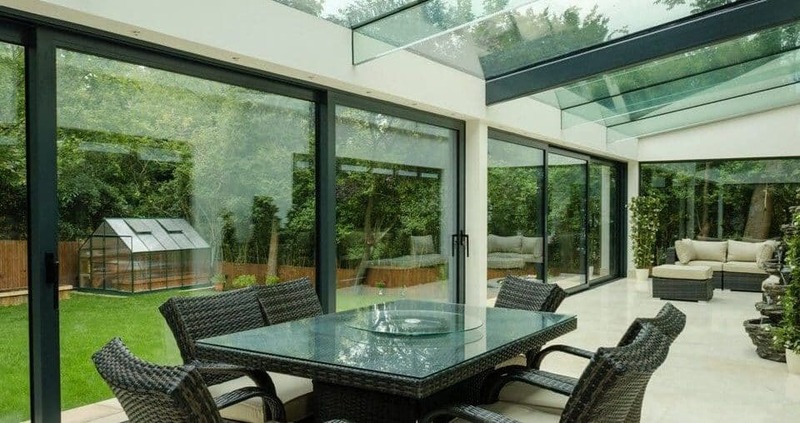 We explain the differences between inline and the lift and slide patio doors. Aïr aluminium sliding doors manufactured by Everglade Windows of Middlesex. Why buy modern inline and lift and slide patio doors? There are many advantages sliding doors have over French Doors and bifolding doors. Both inline and lift and slide patio doors offer the same benefits in the home. Sliding patio doors save space as they do not hinge inside or out like bifolding doors or French Doors. Some sliding doors are slimmer than many bifolds. 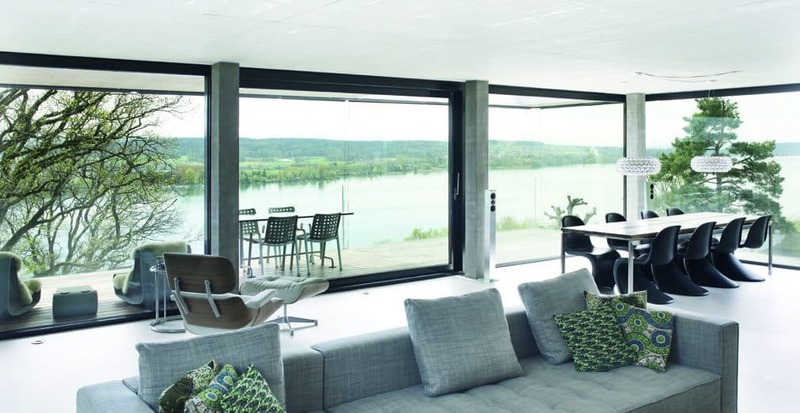 Take a look at the mullion sightlines of virtually all UK sliding door systems. The latest generation of minimalist sliding doors provides a virtually frameless appearance. A big colour choice just like all aluminium doors and windows. A door that is modern, desirable, secure and very weather resistant. No other door provides the expansive views like a patio door. Are inline and lift and slide patio doors the same door? It is the operation of the doors that differentiates inline from lift and slide. The profiles, sight lines, weather performance and security is the broadly the same. As a result, both types of doors look the same. In the closed position, you would be hard pushed to tell the difference. In the open position, the differences are more obvious. The outer frame and door sashes or inline and lift and slide doors differ with many brands, but the differences are hard to spot. Understanding inline sliding patio doors. Inline sliding doors sit within their frame held in place at the top and bottom, closing into the frame. The patio door rollers sit directly underneath the bottom that are in permanent contact with the bottom track. Inline doors use the weight of the doors to slide them open and closed. An inline patio door you will be familiar with as the traditional sliding door. This is the door you unlock with a key or from the door handle. The door is unlocked, ready to slide open and closed. e door to your desired position. Inline sliding patio doors come in two, three and four panel configurations and available with double or triple tracks. The more tracks, the more flexibility in where you can slide the panels. You may think inline sliding doors are old. Far from it. Inline doors span bigger widths and heights than ever before. In fact, some of the premium sliding doors such as the Dutemann Glide-S goes to 6.7m wide and over 3 metres high with only two sliding panels. Most of all, inline sliding doors are flexible, versatile and ideal for both small and large openings. An explanation of lift and slide patio doors. First of all, the concept of ‘Lift & Slide’ is not new. This type of opening for a patio door has been around for many years already and in PVCu doors as well as aluminium. However, old lift and slide sliding doors did suffer from long-term reliability issues. This is no longer the case and you can buy lift and slide doors with confidence. The components and gearing used in lift and slide doors are unlike the previous generations, hated for their unreliability and persistent service calls. Unlike an inline door sitting within its track, lift and slide doors sit directly on the track. Instead of using the weight of the doors sat on the rollers, lift and slide doors raise the sliding panel onto the rollers. Top make this happen the action is all in the door handle. On an inline door, it is a fixed push and pull handle. On a lift and slide, the handle does much more. Turn the handle 180 degrees. You will see the sliding panel raise itself onto the rollers. The raising of the door results in substantially reduced friction and a lighter door. Slide the door to the desired position. To close the doors, slide to closed, rotate the handle the other way and watch the panel drop down into position. Lift and slide gearing is a system of wheels, levers and clever engineering. Large and heavy panels lift off the track allowing big doors to move with ease. This is not to say that inline doors are heavier, but lift and slide doors appear lighter to move. When an inline door slides there is some friction as the inside and outside faces of the aluminium rub against the seals and weatherstrips. This can cause friction. You can often hear a door rubbing against the brushes and rubbers as it moves. Lift and slide doors make less contact with the weather strips, reducing friction. Which is best? Inline or lift and slide patio doors? We hope our explanation of inline and lift and slide patio doors helps you to understand the differences in how these two modern sliding doors work. Both types are slim, both are secure and both are built to last. Therefore, which is the better door? Lift and slide patio doors will be slightly more expensive than inline doors yet offer the same benefits. Therefore budget and personal preference may influence your buying decision. It is worth mentioning that the latest generation of minimalist sliding doors is available inline only. One key feature found in lift and slide patio doors that may convince you to buy them. Lift and slide doors are lockable in the open position. Simply slide the doors to where you want them, turn the handle and the door rests back down onto the frame and locks. Locking a partially open inline door is not possible. We do not recommend any locked open door should be left unattended. The ability to prevent the door being moved when open will appeal to many. It is useful for stopping children playing with the doors, prevents accidental operation and allows a partially open door to be locked and provide ventilation. Contact us for more information and where to buy aluminium sliding doors in your area. Please provide info & pricing for sliding door system to fill opening 6 metre wide x 2.85 metre tall. Kitchen Diner extension building start date early Sept 18 with door requirement 8 weeks later. Hello Ian, thank you for your enquiry to the Aluminium Trade Supply Website. Our website is an information resource only and does not quote directly or provide any products. If you would like to get in touch with the website via our contact forms with your location, happy to put you in touch with a few suppliers you can get a price from. Hi, can you tell me anything about edgeglide? I’ve been quoted for edgeglide and Aluk but not sure what to go with. Hi Lisa, Edgeglide is a dry glazed wraparound system just like the Aluk. Both doors are very similar in specifications. The Aluk brand is the longer established but it depends which Aluk door you have been quoted for as there are a number of variants. Go with the door you like the look of the most, at the price that is right for you. We always say confidence in who is supplying the product is important as well. I have been reading your article comparing Inline and Lift and Slide doors. I have recently been looking at some Velfac Sliding Doors and was impressed with them but are neither Inline or Lift and Side. They are fitted on arms that slide in a vertical rail. The whole door moves outwards before sliding – this means that when closed the slider is flush with the rest of the windows. Is this a recent innovation since your article and have you any opinion as to how the Velfac system compares? Hello Mike, Velfac does make different products and assuming you’ve seen their wood/aluminium composite system. It’s not a new innovation but a characteristic of this particular sliding door. 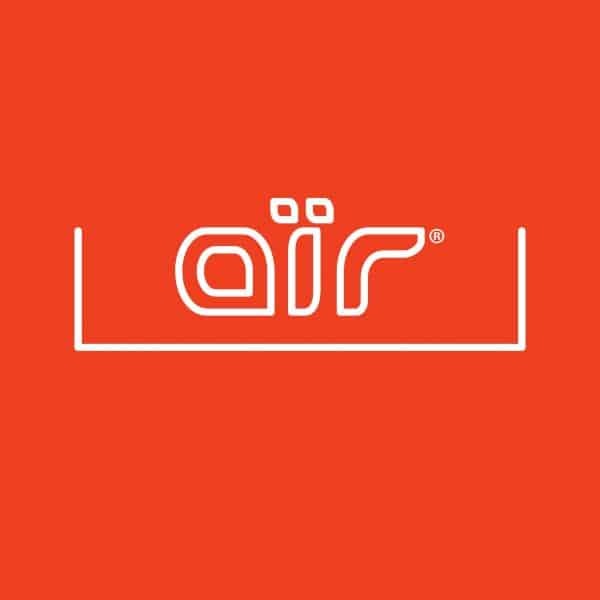 Really good products and worth considering if you like them.